It was almost the Fourth of July, the birthday celebration of all things America. The city of Mobile was gearing up for the weekend as downtown shoppers purchased watermelons, ribs, sausage, gallons of barbecue sauce, charcoal and propane and, I hope, chicken. I’m sure there was a case of beer or two in every other grocery buggy and more than one Old Glory polo-style shirt was spotted in the produce section. Real American flags were removed from their front porch poles only to be washed in the all-temperature detergent that provides that certain sparkle before they were unfurled to hang at their rightful spots in the adjustable PVC holders on the columns of the majority of Mobile residences. I was feeling the patriotism well up inside me until I tried to make it to work across the bay, where I cussed every Yankee and license plate hailing from west of the Mississippi who turned my 30-minute drive into an hour-15. It was selfish of me to only recall the “this land is MY land” line of the Woody Guthrie classic. 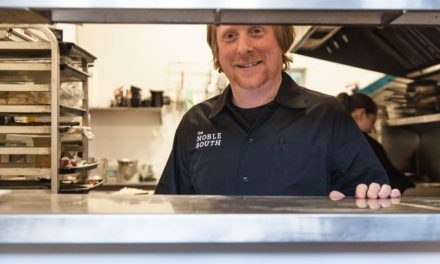 Feeling I had missed the message, I felt it was a good time to do a column about what’s truly American about the Mobile food scene. It took little pondering before I decided Old Shell’s Dew Drop Inn is about as American as one can get. I summoned Agent 549, who was more than ready for a patriotic food challenge. Only weeks ago 549 was strongly hinting, nay, begging for me to write about one of Mobile’s one true constants. No red-blooded American, let alone a Mobilian with blood of any color, can resist the charms of the Dew Drop, so off we went for a diet-wrecking lunch. 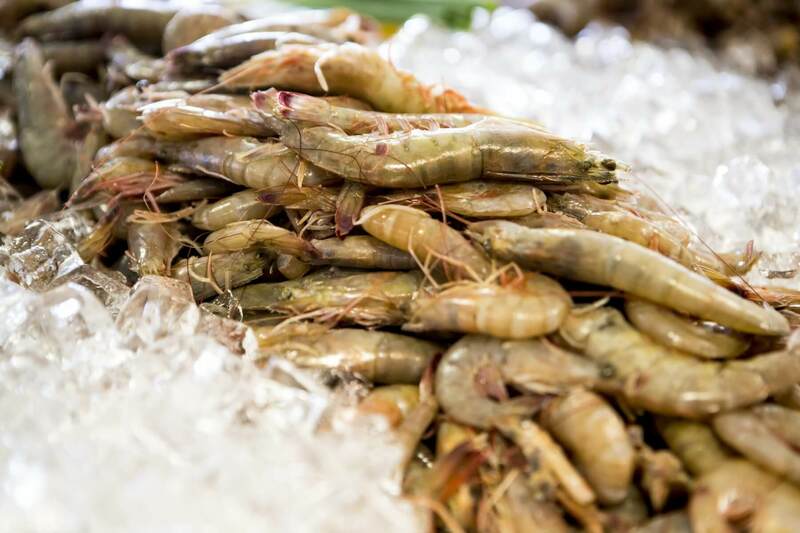 (Photos | Daniel Anderson/Lagniappe) It’s famous for the hot dogs, but the Dew Drop Inn also features some of the city’s best seafood, burgers, fried pork chops and southern sides. You’ve never been to the Dew Drop Inn? You’re not from around here, are you, Mister? It’s moved around a bit but claims to being a Mobile institution since 1924. At 90-plus years, these folks must be doing something right, and that something is as American as you can get: burgers and dogs. 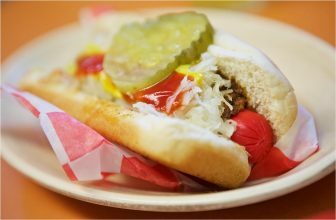 Possibly the first place in Mobile to introduce the hot dog to the masses, the Dew Drop has always been known for the delicious “sandwich.” I feel sorry for vegans who will never experience this delight, for this is one of the best in Mobile. The radioactive red wieners let you know it’s old school and has no intention of changing. 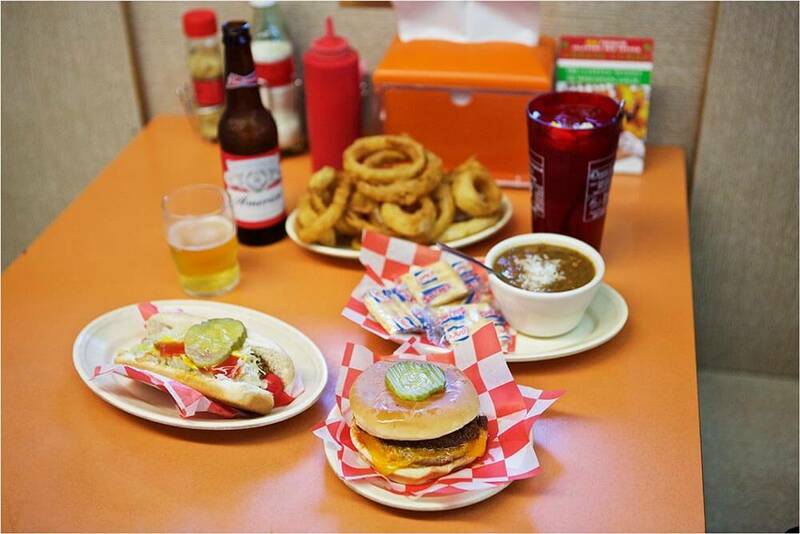 The Dew Drop is so much more, but your maiden visit should definitely be a dog and a burger. Here is how our visit went down. Don’t judge. We both worked out before and after this monster meal. I arrived first and began with an 8-ounce glass bottle of Coke ($2.50). Don’t avoid this. It’s a good start. Agent 549 was drinking water and we decided to each get soup and split them. The first was the gumbo ($5.75 per cup), which had a lighter brown roux and a gumbo shrimp in every, I mean every spoonful. Crystal hot sauce had us fighting over this. The other cup was broccoli cheese ($2.65 per cup). Think of this as the control. It was spectacular. I have to say, it didn’t take a backseat to the gumbo. Both are great enough to flip a coin. We knew it would be unfair for one to get a hot dog and the other the burger so we decided to split everything. Then the ordering got out of hand. Let’s get the hot dog ($2.95) out of the way. Is it as good as everyone says? I think so. It’s not oversized and is served with all the trimmings. Agent 549 ordered it shaved, which is without sauerkraut. This left us with mustard, ketchup, chili and pickles. Yeah, it’s that good. The cheeseburger ($3.54) is similarly prepped and the pickle is on top of the bun. It’s one of my top three favorite burgers in this town. You have to have steak fries ($2.64). What else would you dip your honey mustard with? We actually ordered a combo of fries and onion rings. For fans of o-rings, look no further. These are hand battered and what you want. As 549 polished off a small salad ($2.65) with healthy tomatoes and shredded cheese, I ordered the fried catfish plate ($12.89). Normally I would only order catfish when I could get whole fish, but I was not disappointed in this. A sizable filet with a gritty cornmeal batter was exactly what I needed. I was surprised how good this was. It came with two sides and I opted for baby lima beans and cucumber tomato salad. The former were fairly sweet with bits of ham as I again turned to the Crystal hot sauce to render them nearly perfect. The cucumber tomato salad had diced red onion with the dressing and chunky tomatoes alongside cucumber slices. A pair of yellow cornmeal hushpuppies topped off the meal. I don’t want you to get the idea that I ordered a lot of food and received plenty of small portions. It was quite the contrary. These are big meals for cheap. 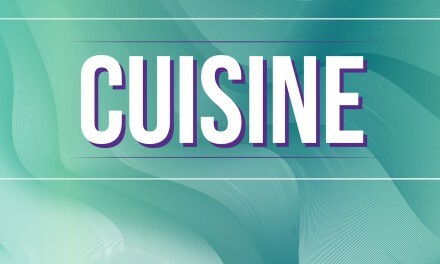 Here are the surprises for a small, older hole-in-the-wall Midtown restaurant. I knew the dogs and burgers were great, but the gumbo was way better than I remember it. This is a hot dog joint with gumbo that ranks in my top three. The seafood here is as good as or better than any (fried). Another surprise is they serve beer. It’s American beer, mostly with a couple of out-of-towners like Heineken, Corona and something called Michelob Ultra that I’ll never try. And even though Budweiser was purchased by the Belgians, the cans are still red white and blue. So as you nurse your watermelon/barbecue hangover, think about what is most American about Mobile. Think about our true Midtown treasure. 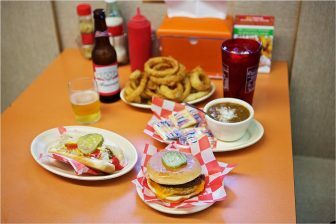 Work out that hangover with a dog and burger from a place I am proud to say is in my neck of the woods. Take a neighbor to Dew Drop Inn.